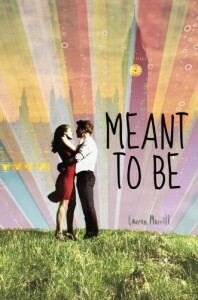 Sometimes you just need something light and fun to read and Meant To Be by Lauren Morrill was exactly this for me! Even though Julia is REALLY uptight, I could relate to wanting not wanting to break the rules and being scared of jeopardizing her future because of someone else's antics. 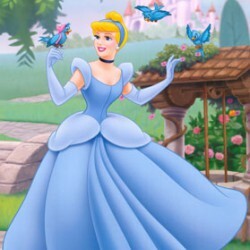 I liked her, though there were times when she made me want to shake her a little because she was just so obviously not seeing something and sometimes also being really unfair to Jason. I liked that Jason had hidden depths and that he sorta serenaded Julia during one of their trips and is a fan of the Beatles. I mean, I KNOW all their songs by heart cause my dad has all the CDs, so I was sorta raised on them. I liked that he brought a little fun into Julia's very serious life. And while this was a really cute, running around London and confusion over what guy was the right one for Julia book, I did had some issues with the romance. I mean, Jason just blows hot and cold and seriously, I would have been SO MAD by something that was revealed towards the end! They were pretty sweet together, but just when I found myself swooning over Jason he'd do something to mess it up. It was like someone kept dumping a bucket of cold water on me after I'd just warmed up again. I really liked Lauren Morrill's writing, she kept it light and fun and the story never lagged. I flew through this book in no time and it was exactly what I needed after reading some darker and issue heavy books! Meant To Be is a fun, cute read and I loved rediscovering London along with Julia and seeing all my favourite places through her eyes!